Just one week after the record-breaking launch of Call of Duty: Modern Warfare 2 helped kickstart the holiday shopping season, Ubisoft plans to release Assassin’s Creed 2 on Tuesday at midnight. Specifically, Ubisoft designed the second game to offer even more mission and objective flexibility, additional characters and NPCs, and new character development. The game itself has players work their through an environment similar to the Italian Renaissance, with a realistic portrayal of the 15th century, according to Ubisoft. The second Assassin’s Creed game is expected to be one of the most popular games this holiday season, but isn’t expected to launch with the same enthusiasm as CoD. The first version of Assassin’s Creed has sold more than 4 million copies worldwide in 2007, with the sequel entering development immediately after the first game’s release. Assassin’s Creed 2 will be available tomorrow for the Microsoft Xbox 360 and Sony PlayStation 3 game consoles, with a PC game launch expected early next year. The video game industry has struggled as of late, but November could prove to be a good month for the industry. 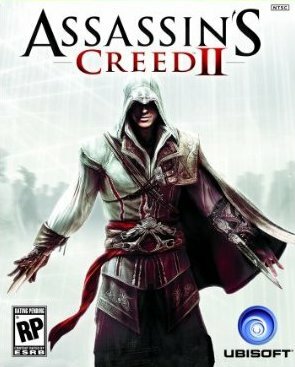 Assassin’s Creed 2 is expected to be the second of three highly anticipated games to launch during the month. The final anticipated game title is New Super Mario Bros. Wii, a Nintendo Wii exclusive, which should also help generate spending among Wii owners. The video game industry made $21.3 billion last year, and depending on the popularity of Call of Duty: Modern Warfare 2, Assassin’s Creed 2 and New Super Mario Bros. Wii, it’s possible the 2009 industry tally could be from $20 billion to $21 billion.